Free radical reactions have become increasingly important and a very attractive tool in organic synthesis in the last two decades, due to their powerful, selective, specific, and mild reaction abilities. 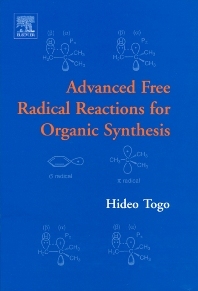 Advanced Free Radical Reactions for Organic Synthesis reviews information on all types of practical radical reactions, e.g. cyclizations, additions, hydrogen-atom abstractions, decarboxylation reactions. The book usefully provides experimental details for the most important reactions as well as numerous references to the original literature. By covering both the fundamentals and synthetic applications it is therefore suitable for both new and experienced researchers, chemists, biochemists, natural product chemists and graduate students. This title is the definitive guide to radical chemistry for all scientists. -Generation of sp carbon-centered radicals.